Business Conference Panelist to date. Please check back daily as we continue to update our speaker list. 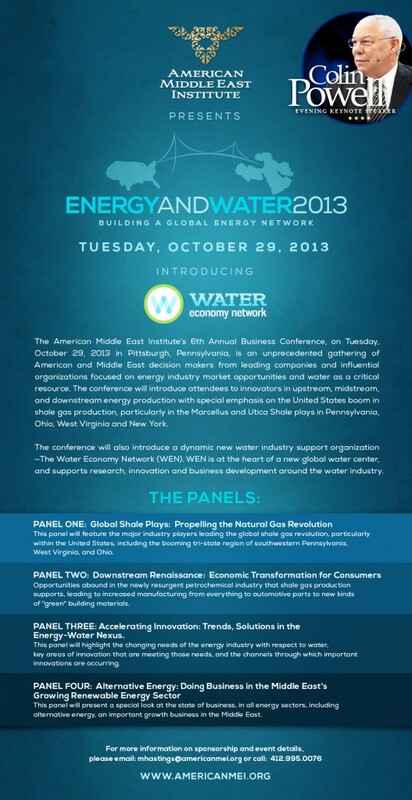 This panel will highlight the changing needs of the energy industry with respect to water, key areas of innovation that are meeting those needs, and the channels through which important innovations are occurring. This will be a special conversation about renewable energy sectors, including alternative energy, an important growth business in the Middle East.